Cellular wounding and repair of local plasma membranes occur constantly in our bodies. Plasma membrane damage can be induced by various triggers ranging from physical disruption and pathogen invasion to physiological cellular activities, such as muscle contraction. Accumulating evidence suggests the involvement of cellular wound healing in various diseases, including Duchenne muscular dystrophy. However, the molecular mechanisms and physiological consequences of plasma membrane repair are poorly understood. Our unit tackles these issues using cell biology, biochemistry and genetics in multiple systems, including yeast and human cultured cells. We previously discovered two key mechanisms: 1) proteasomal degradation triggers repair responses (Kono et al., Cell, 2012), and 2) a cell cycle checkpoint in G1 monitors plasma membrane damage (Kono et al., PNAS, 2016). A long-term scientific goal will be to reveal the link between cancer/senescence and the plasma membrane. 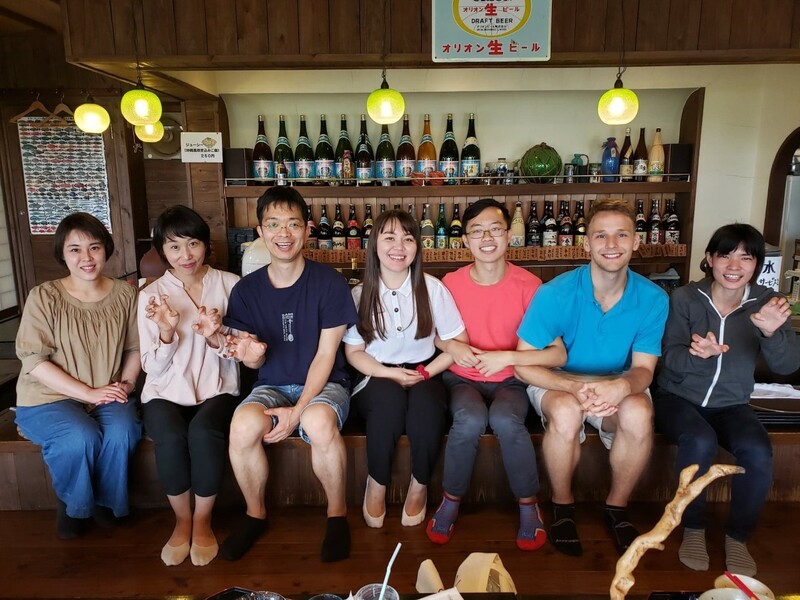 A farewell lunch for Aisulu (rotation student) and Chris (intern student) @ Shimajikan, on Apr 15th, 2019. Say "schiesser (okinawan lion)", instead of cheese!